Our Zip, Sip & Stay Package is a fantastic choice when you’re ready to experience the ultimate in adventure and luxury. Enjoy some of Washington County’s finest offerings at discounted prices, including one night’s stay in one of our participating hotels. Your special package price also includes (depending on the package) wine tastings and a $20 winery gift card at your choice of one participating wineries and meal specials. To book a "Zip, Sip and Stay" Package, contact the hotel directly. 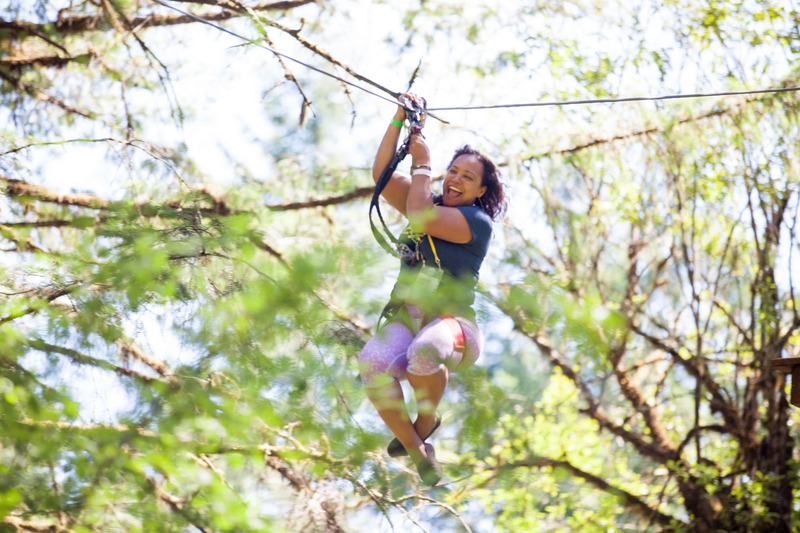 After your hotel reservation is secured, you must contact Tree to Tree to book your aerial adventure reservation. Winery Gift Cards can be obtained from Tree to Tree at aerial adventure check-in. The beautiful and tidy accommodations at this Forest Grove, OR hotel are well suited for business or leisure travelers. These comfortable, upgraded rooms feature all the necessary travel amenities and more, including upgraded bedding, a desk, cable satellite television with HBO, refrigerator, microwave and free wireless Internet access. Best Western University Inn & Suites also offers a 24-hour indoor pool, hot tub, sauna, fitness facility, business center and guest laundry. Start your day off the right way with a complimentary full, hot breakfast. Additionally, complimentary fresh-baked cookies are sure to sweeten each evening. Only a 20 minute drive to Tree to Tree from Forest Grove. Easily pick up two of the six wineries by heading south after your Tree adventure, then visit the others on the way back to your suite. You can't miss the Grand Lodge in Forest Grove. Hotels in the area don't typically feature stately columns or expansive gardens. Inside, guestrooms at the Grand Lodge have added personality, with whimsical artwork, original porcelain sinks and historic charm. Guests may choose from rooms with private baths or convenient shared bathrooms down each hall. The hotel's bunk rooms feature bunk beds and original porcelain sinks. Overnight guests can enjoy complimentary use of the outdoor, heated soaking pool. Bostonian Brownstone styled Boutique Hotel in the heart of Orenco Station. The Orenco Hotel, within the vibrant and growing work-live-play community of Orenco Station, offers guests a calm, comfortable, and privacy-oriented setting. Worlds away from any corporate chain hotel, The Orenco includes all the amenities a savvy business traveler or family on the go looks for in its choice of lodging. Good news travels fast! As soon as Orenco Station opened it was quickly recognized for its vision and was awarded "America's Community of the year" in 1999. Today, with the community thriving, The Orenco is still considered a superb example of the integration of the "Downtown Luxury" Hotel experience into a transit-oriented, suburban setting. The Orenco Hotel is far more than just a place to stay. It is a place that can actually change the way you feel about traveling.